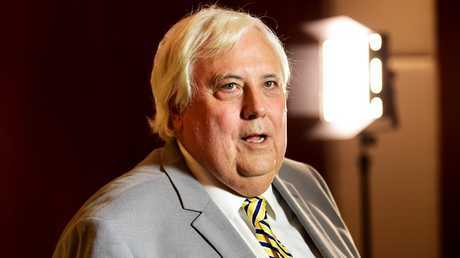 BILLIONAIRE Clive Palmer has offered to pay just three per cent of the money he owes workers, tradies, companies and taxpayers, as liquidators forensically examine his statement for an advantage to use in court. 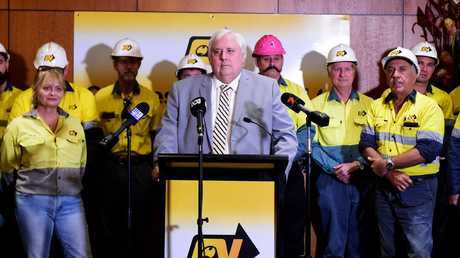 Mr Palmer yesterday offered to pay his former Queensland Nickel workers' outstanding unpaid entitlements - more than three years after his company's collapse and four weeks before an election. It is also ahead of Mr Palmer announcing on Thursday his party's candidate for the Townsville-based seat of Herbert. Some former refinery workers described it as a "slap in the face" and that he'd already proven "you can't believe much of what he says". Mr Palmer said he would pay his former workers' entitlements, while saying neither he nor his companies were responsible for their dismissals. When QN collapsed it owed about 800 workers $74 million, but the Commonwealth Government has already paid $66.86 million of the workers' outstanding entitlements. The maximum $7 million Mr Palmer says he will repay is about three per cent of the more than $200 million his former company owes to creditors, including workers, small businesses and taxpayers. A spokesman for Mr Palmer confirmed he would only pay up if the former employees applied via an advertisement to be run this week and could prove what they were owed against company records. 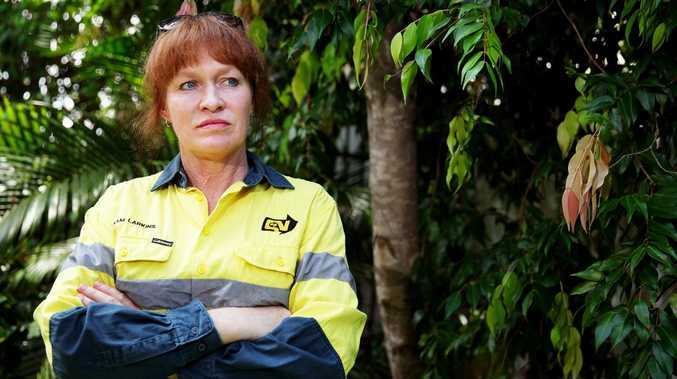 "Considering the floods and cyclones that have ravaged North Queensland, I have decided to pay any outstanding workers' entitlement amounts not paid by the liquidators to these workers to assist them and their families in these difficult times,'' Mr Palmer said. He made the announcement in Townsville flanked by people in QN uniforms, including his nephew Martin Brewster. While Mr Palmer said it was the administrators, who he appointed, who sacked more than 500 workers when the company went into liquidation, his nephew and QN director Clive Mensink made 216 employees redundant just days before the company fell into administration. Special Purpose Liquidator Stephen Parbery, of Ferrier Hodgson, said the offer was welcome but that the money should flow immediately. "It is disappointing that Mr Palmer's offer to at long last redress the employees has taken over three years and hasn't been extended to the small businesses located in the Townsville region who have been equally affected by the flooding that has had such a dramatic effect on the region," Mr Parbery said. "Instead, Mr Palmer has been offering payments that can only be described as paltry to the affected small businesses in the Townsville area". Mr Palmer last month offered trade creditors 10c in the dollar to buy back his refineries debts, and a spokesman said some had taken up the offer. Former QN worker Sam Larkin said she was still owed $8000 and was doubtful she will ever be paid. "I must admit I had a good belly laugh first up when I heard Clive was saying he'd pay and then I was just in shock again thinking what the hell is he up to," she said. "He's already proven you can't believe much of what he says. "Like everyone else I'll believe it when it's in my account." Ms Larkin said she believed Mr Palmer's promises to pay were an attempt to gain votes. 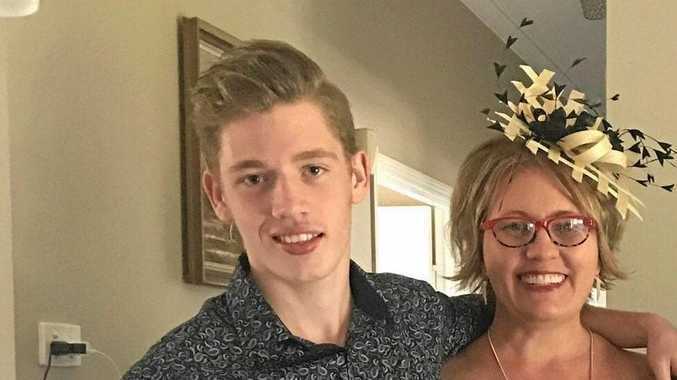 "It's absolutely a slap in the face, especially after the disgusting advertising campaign with the billboards and his face and rubbish everywhere," Ms Larkin said. "He's happy to spend millions on advertising but perhaps he should have just paid the government and creditors. A court hearing related to the QN collapse and the $200 million in claims against the company will begin July 15 and is expected to last 45 days.